The juxtaposition of these conflicting stances leaves NIWA looking decidedly awkward. Should it go all out to defend its most famous product, or throw the NZTR under a bus? The 7SS posed as a genuine historical archive, until the NZCSC disclosed, in its 2009 paper Are We Feeling Warmer Yet, that the warming trend was merely an artefact of NIWA’s in-house ‘corrections’. After a lengthy saga (described in Brill, B.E., 2010a. 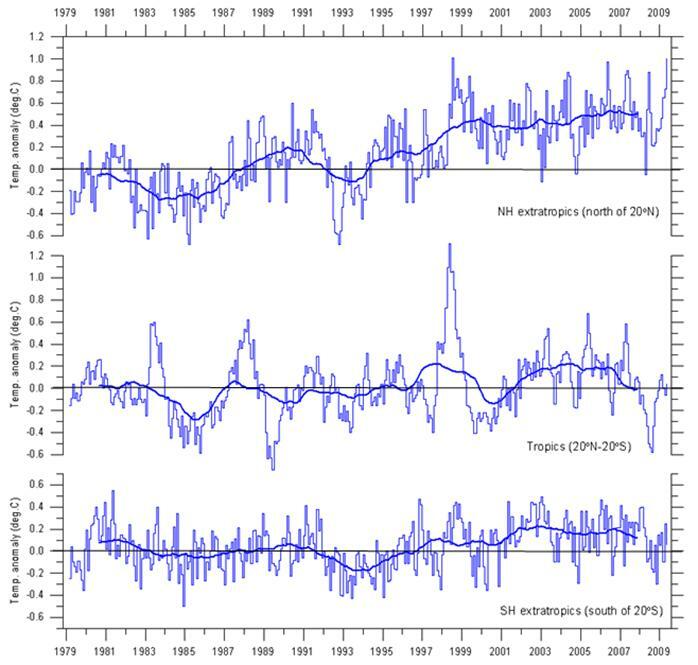 ‘Crisis in New Zealand climatology’, Quadrant Magazine (May) and Brill, B.E., 2010b. ‘New Zealand climate crisis gets worse’, Quadrant Magazine (June)), it emerged that NIWA had adopted some 34 non-replicable adjustments proposed in 1980 by Salinger, whose calculations had been lost. In its Statement of Defence, NIWA announces that it has now completed a full internal examination of the Salinger adjustments in the 7SS, and has forwarded its “review papers” to its Australian counterpart, the Bureau of Meteorologists (BOM) for peer review. From ministerial answers to Parliamentary Questions, we know that this “review” has involved five or six scientists working for about six months, and has received a special grant of about $70,000. It comprises a replacement Schedule of Adjustments for the 7SS with de novo documentation and detailed justification for each adjustment. The Hokitika example at http://www.niwa.co.nz/news-and-publications/news/all/2009/nz-temp-record/seven-station-series-temperature-data (scroll down to Documentation of the adjustment process) has been repeated for all seven weather stations. The replacement 7SS doesn’t repeat the Salinger adjustments but it is to include any adjustments agreed between NIWA and BOM, both of whom will supposedly apply state-of-the-art homogenisation technology. So the old 7SS has already been repudiated. A replacement NZTR is being prepared by NIWA – presumably the best effort they are capable of producing. NZCSC is about to receive what it asked for. On the face of it, there’s nothing much left for the Court to adjudicate. 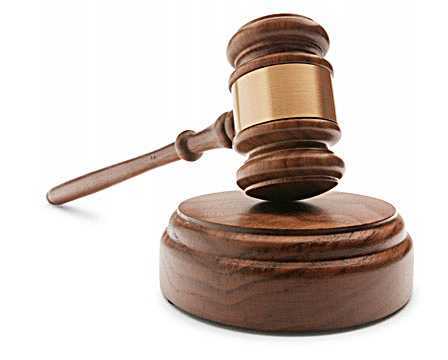 What will happen in the court case? The proceedings are not yet affected by these developments. If the replacement NZTR is as deeply flawed as its predecessor (which seems inherently unlikely) NZCSC will doubtless press on to trial – although some amendments to the pleadings would probably be required. If the new document seems respectable, the parties may well be able to resolve their remaining differences. Watch this space! Great work by the way. There’s nothing like the glare and traffic of international attention to raise the local temperature and expectations. We all know about day jobs! Keep up the good work. I’m more interested in this issue on how this fiasco will pan out in Parliament; as you say the NZTR has been used for major policy decisions for the last ten years. It appears that the intent is to rush in the new NZTR as quickly as possible and say that it is essentially the same as the old one. Where does all this leave the Government legally? Should all the previous conclusions be reevaluated? Will the plastering job of the new NZTR be sufficient? Any thoughts from Rodney Hyde, who I know reads this blog? The legal questions are interesting; can’t wait to know those things. Rodney (it’s Hide, by the way) is busy building Auckland, probably won’t have time for a wee while, though I know he’s keen on the topic. Another ‘Great Work’ kudos to you and all. The question that I have is ” Was the NZ ETS based on this data” and if so, can it (ETS) be invalidated based on the new information? No, it wasn’t, and so it cannot. However, NZ temperatures determine the climatic history of much of the Southern Pacific, which in turn provides a substantial fraction of the global history. We must take one small step at a time, but eventually we will examine the robustness of the NZ temp history. If that history must be revised, then all those oceanic grids must also change and who knows where the ramifications might end? A heartfelt thanks to all those involved. This is the best news since climategate. I am now wondering if a similar case can be brought against BoM or even the CSIRO. Both organisations have been using temperature data to promote the cause of AGW and attract huge funding, particularly for CSIRO and it’s geosequestration research. Obviously a lot of that research would be redundant should CO2 be proved not to have raised temperature or that temperature has not increased despite a rise in CO2 levels. Richard, keep up the good work. One thing that has me a bit troubled by the Hokitika record in particular is the application of the standard adjustments. Hokitika SHOULD be one of the best temperature sites in the World given its remote location and “mostly” free from the usual interferences. The temperature at that site is controlled by two main factors. The first is the SST of the Tasman, and during cold nites by the katabatic flow from the Southern Alps (ignoring land use changes – probably minor due to the predominance of the Westerly wind flow). The second factor is probably not as important as the first given. This leaves the SST as the dominant controlling factor. One would intuitively think therefore that the Hokitika record would track the SST record NOT the manufactured boundary layer global record. This is something that NIWA and Salinger have ignored, and I suspect most others. In my business (scientific consulting) a “reality check” calculation using alternate method must give the same result as the first or there is something wrong with one of them. While I understand that the court case id rather limited in its scope (as it needs to be), this is something you need to keep in your back pocket. Over at WUWT someone raised the eleven station series which I believe has the acronym ESS. I raised some questions about UHI at Ruakura-Hamilton, Palmerston North Aero and Tauranga Aero as I know these sites well. There simply has to be a dramatic warming bias from urbanisation at these three. But then I got thinking about the Campbell Island record. Why use records from CAmpbell Island? I suspect the average worker at NIWA assumes it is as rural as you can get. However, With the eradication of sheep from the Island, there has been quite dramatic changes in the vegetation over the past few decades and this may have caused detectable changes in the temperature record. Land use has changed from over grazing by sheep, to grass and scrub growing and nesting by Albatrosses. Has anyone from NIWA bothered to visit these stations and establish what changes, if any have occurred. Has the Climate Conservation Group considered surveying these sites to get some photos of the area? Sort of a mini surfacestations.org survey. Also, I just visited the NIWA website and followed a link to the New Zealand Temperature Record. I thought there was no such thing any more. If Hokitika mimics the global trend but not SH then there’s a problem somewhere. Should nave been NH vs SH but you get my drift I hope. Perhaps readers could suggest questions for Climate Change Minister Nick Smith and Minister in Charge of NIWA Wayne Mapp? Ah – so the boss checks in to give the troops a bit of personal encouragement. After all, everything else is falling down around him. And soon this will. And you’re following the orders of your boss Helen I suppose. Richard C, if I scold Ken for ad hominem remarks and not addressing the topic, is it all right if I scold you, too? Because I have to be even-handed, and the CCG is about having a conversation, not slagging off at each other. This line of talk will be stopped. Thanks. I recall there was a oomment about the Aust BOM auditing NZ records; I repeated Warwick Hughes comment that ‘would be like Dracula auditing the blood bank’ (might have been on Jo Nova’s blog); anyway the latest error by the BOM – In the last two years some 900 mm of rainfall have been removed from the rainfall record of the Murray-Darling Basin. This startling discovery was made by comparing the annual Murray-Darling Basin rainfall reported on the Bureau of Meteorology website in August 2008 and the same report found yesterday. M.Sc., D.Phil., M.A. (Oxon), SMP (Harv.). Tom Quirk is a principal of Quirk Partners. He has interests in venture capital, fund raising and investment management as well as business advisory work. Tom holds an SMP degree from the Harvard Business School, Master of Science from the University of Melbourne and Master of Arts and Doctor of Philosophy from the University of Oxford. He spent 15 years in the U.K. and USA as an experimental research physicist, a University Lecturer and Fellow of three Oxford Colleges. During this time he worked in the United States with colleagues at Harvard and Chicago and in Europe at Geneva and Hamburg. So he has some Cred then? It will be awkward for BOM if the revisions to the NZ temp record are not those that the BOM uses for the Australian record. Which it would be unlikely, as new work and attitudes determine which options one takes, and there is always more than one option to take in “adjustments”. The Australian blog-auditors will, no doubt, devour the NZ results and then see what happens to the previous BOM data in a retrofit. As you state, New Zealand is a small part of the global record, but as the correction process is interative and has progressed with time, going back to the beginning could have an unexpected, large impact. The land records are particularly important to Hansen’s historical view, although like ripples on a pond they lose impact as you move away. Still, with BOM involved, should first NZ and then Australia become involved, a disturbance in the force, so to speak, might require the Europeans to demand changes to their parts of the records being used by Hansen. To-date there have been a number of complaints by Russians and others of misleading use of their data, but not enough to touch NASA and its pronouncements. But if the NZ experience leads to others, NASA may be forced to at least say that they are reviewing the data. For something that is supposed to be “settled”, an admission that a second opinion may have merit could be a mortal wound (outside the Hansen-Gore egosphere, of course). The fact that Salinger did not have anything to do with the BOM records is not germane. The records have been questioned legitimately and found to be wanting. ALL the data can be questioned, as none of it is used in its original state, but only after substantial adjustments have been made. The adjustments can be seen to have a warming bias through time, through population growth (UHIE), and through changes in rural/urban/geographic proportions. To have to publiclly reveal that an entire country’s temperature record has been seriously in error ON PURPOSE will create a great deal of discomfort for the CAGW crowd.